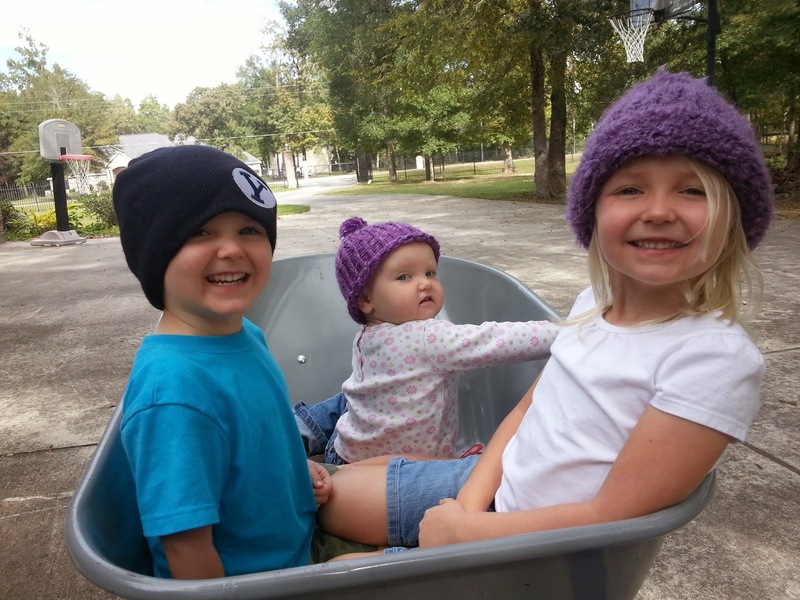 A sporadic account of the life and good times of the Jesse and Katie May family. Well, after our break for the holidays we are back in business and time for me to create another post. We are busy but well. I'll just get to the photos now. I'm kind of rushed and have a lot so sorry, the captions won't be very good. 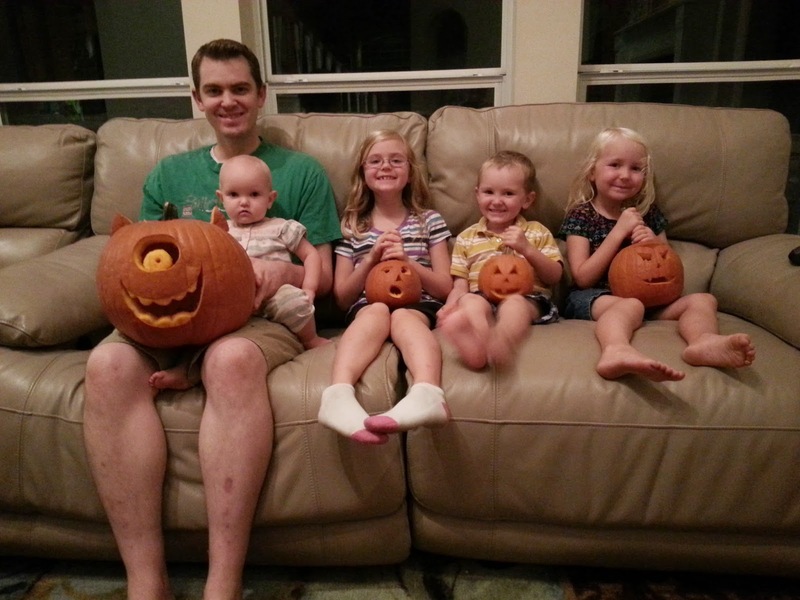 For Halloween we carved pumpkins as a family. Dianna's won first place. 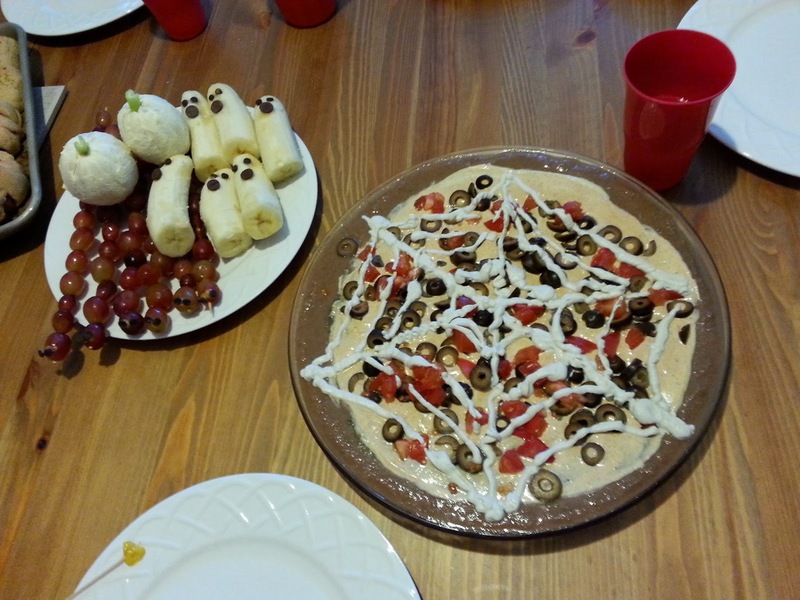 Also for Halloween Katie made a scary meal, lips and teeth, blood and bones, nummy mummies, ghosts, centipedes, spider-web dip and so on. 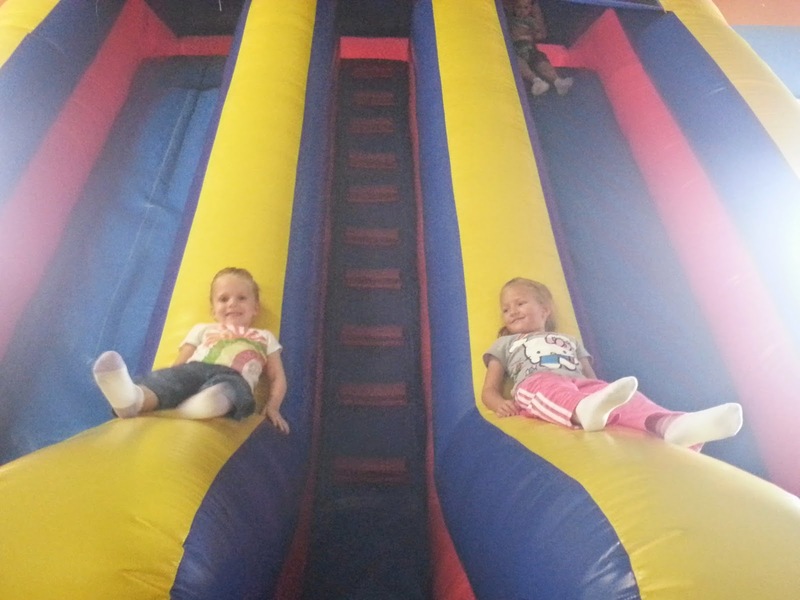 The kids enjoyed it. Katie was planning to take the kids out trick-or-treating, but our new neighborhood isn't set up very well for that. The houses are all on at least an acre, and they have to be at least 100' back from the road. We didn't see any trick-or treaters, and nobody looked like they were expecting any in our area, so we did a little Halloween carnival at home instead. 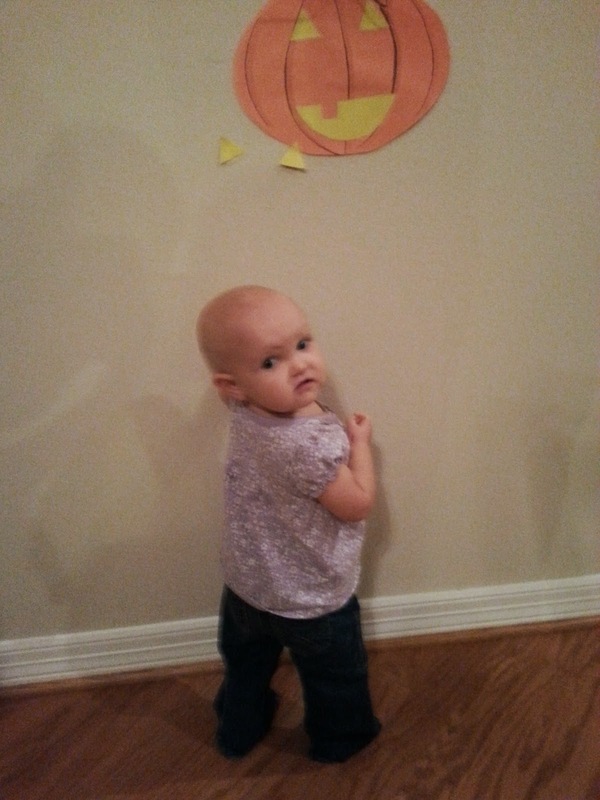 Pin the nose on the Jack-O-Lantern. Dianna is claiming she is at a disadvantage because she can't reach. That disadvantage was nullified by the fact that she didn't have to wear a blindfold. 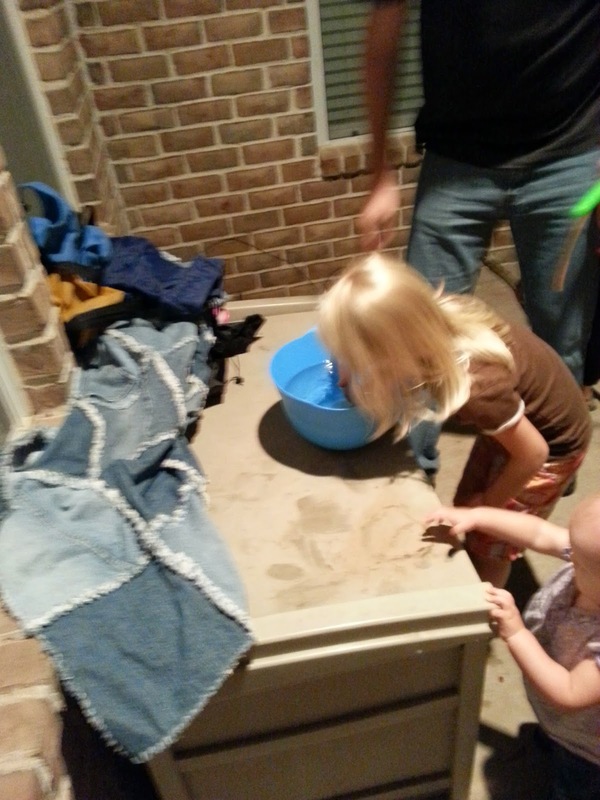 We put little prices in these bowls and made the kids punch their way in. Lots of fun, but the tissues paper was stronger than the Styrofoam bowl in some cases. 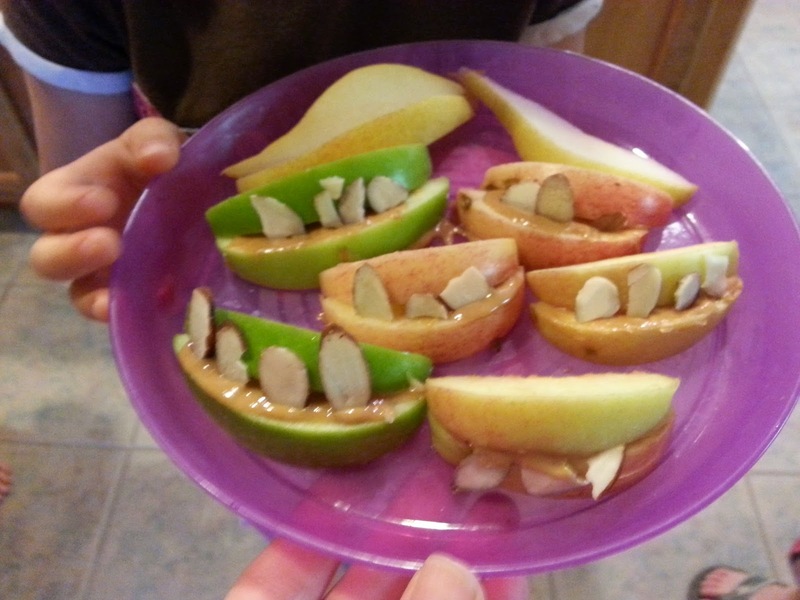 Bobbing for apples. We also did a glowing ring toss outside. Overall I think the kids liked this better because they didn't have to have their candy taken away, again. 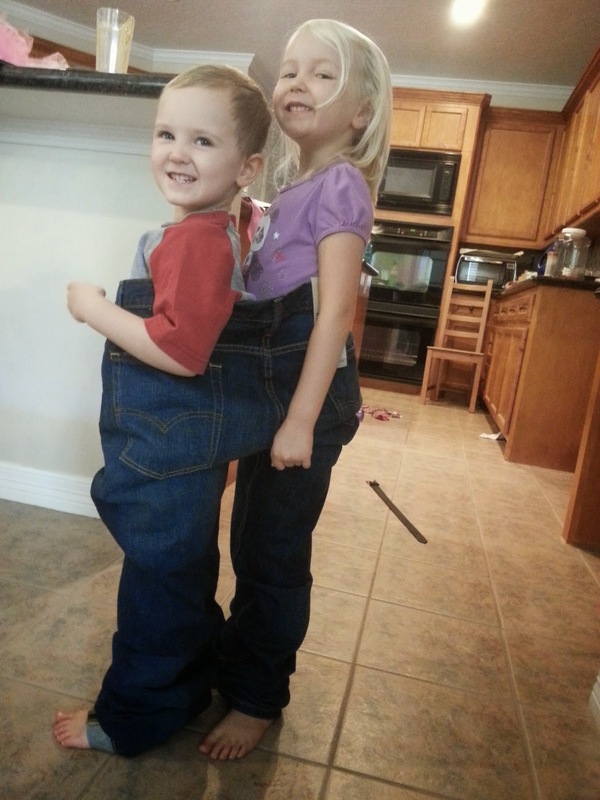 Brianna and Caden wearing dad's pants. 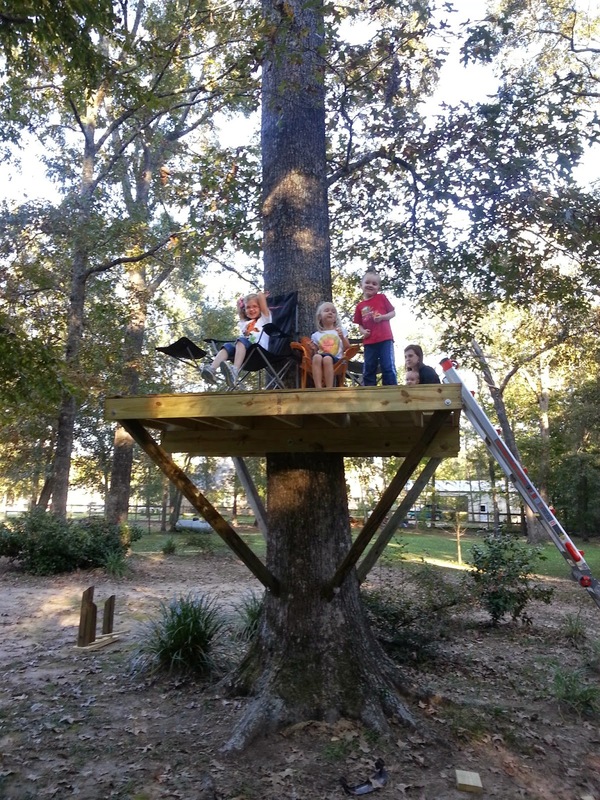 One of the stipulations for the kids coming quietly when we moved out to the "country" is that I had to build them a treehouse. It is now basically done, but it took a couple month's worth of weekends, especially since it got pretty rainy for a while there. 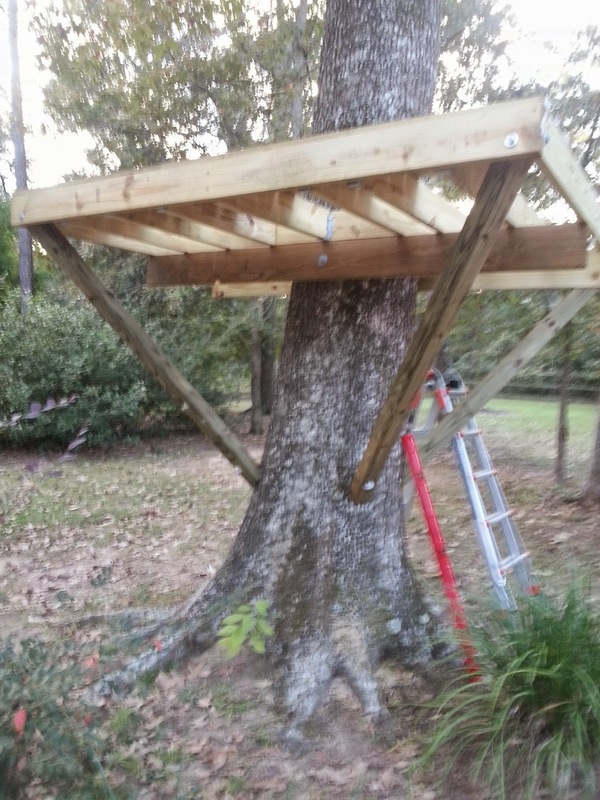 This is the very beginning of the treehouse, the main two support crossbars and a few of the floor joists laid across. 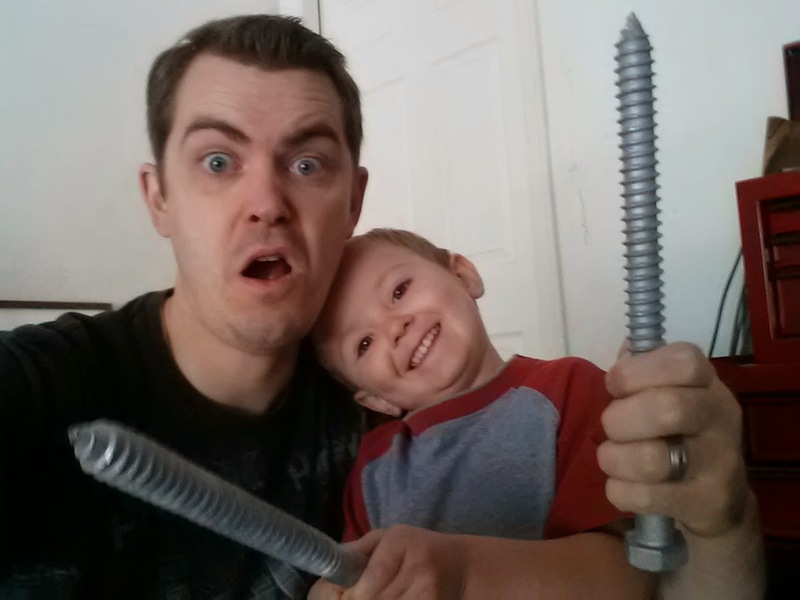 These are the lag bolts that we used to attach the treehouse to the tree. Didn't want to take any chances. These puppies were a pain to get in, drilling deep into the tree and then bolting them in was quite a workout. 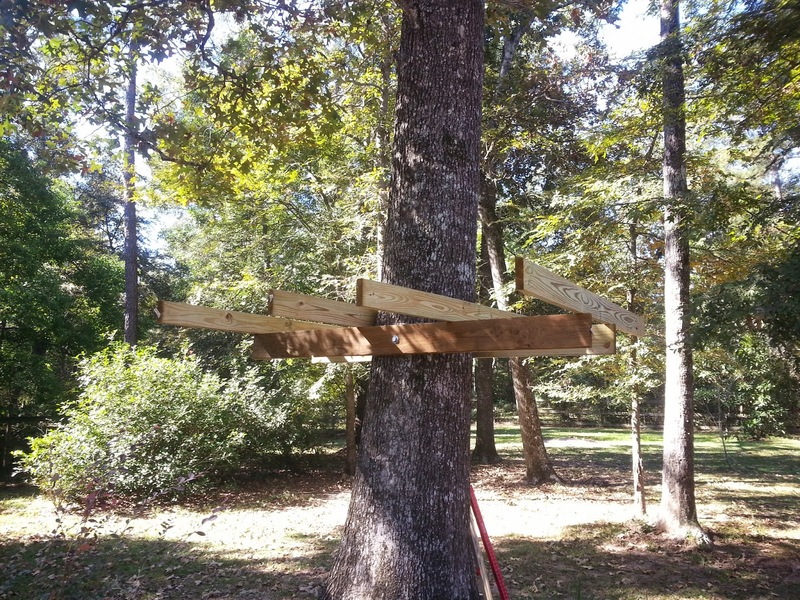 Here I set up four corner posts to help level the platform while I set the floor joists in place. 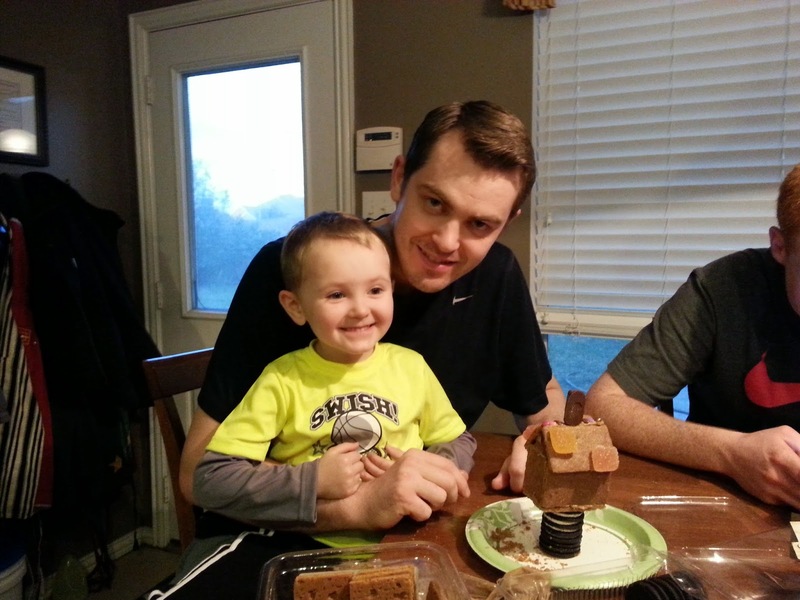 Caden was a great helper through the whole project. He definitely likes working outside. We don't have too many chances, but when it gets cold we have been enjoying our real fireplace, rather than the gas-log we had in the old house. 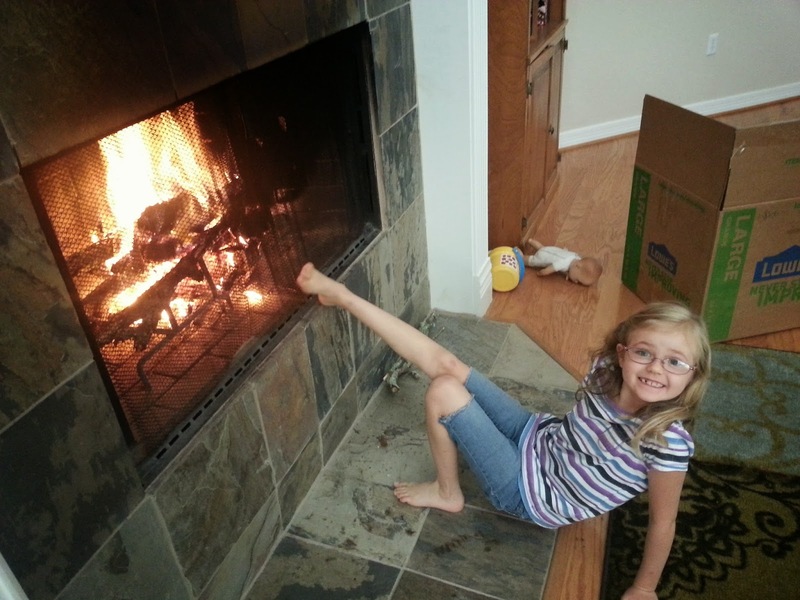 The kids love building a fire, and Dianna always has to walk up and blow on it when it is going. 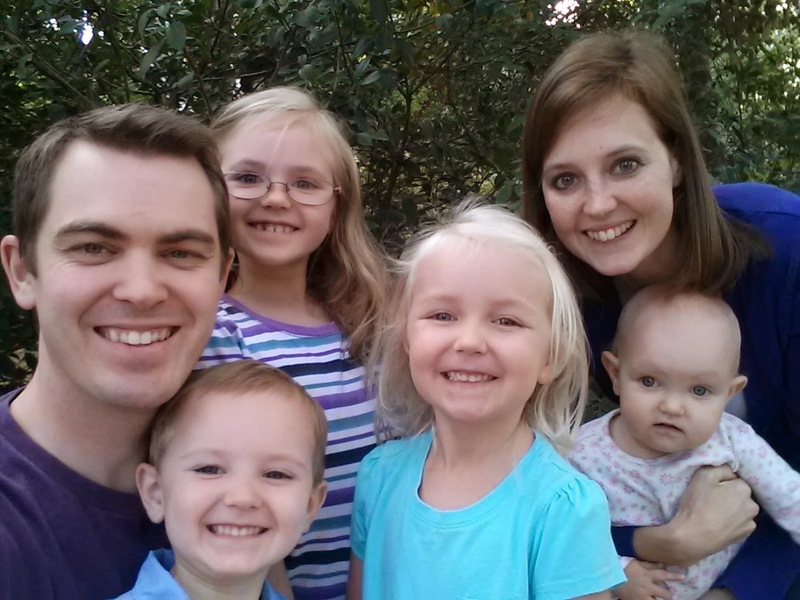 We took a family selfie for the church directory. Any more kids and we will have to get someone else to take our picture. Here is the platform with all the floor joists in place and the diagonal supports bolted in place as well. This thing isn't going anywhere. After laying the floorboards we had a snack up on the platform. The kids were a little nervous about the height, it feels a lot higher than 8-9 feet when you are up there looking over the edge with no railing. 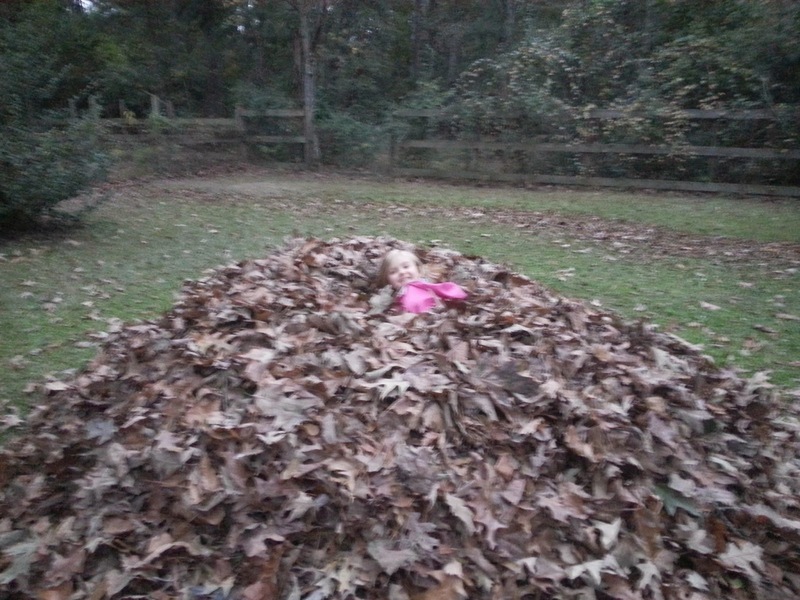 This is Alyssa in the middle of a gigantic pile of leaves. These suckers are a lot of work to clean up, but a lot of fun to jump in, and they make a huge pile. 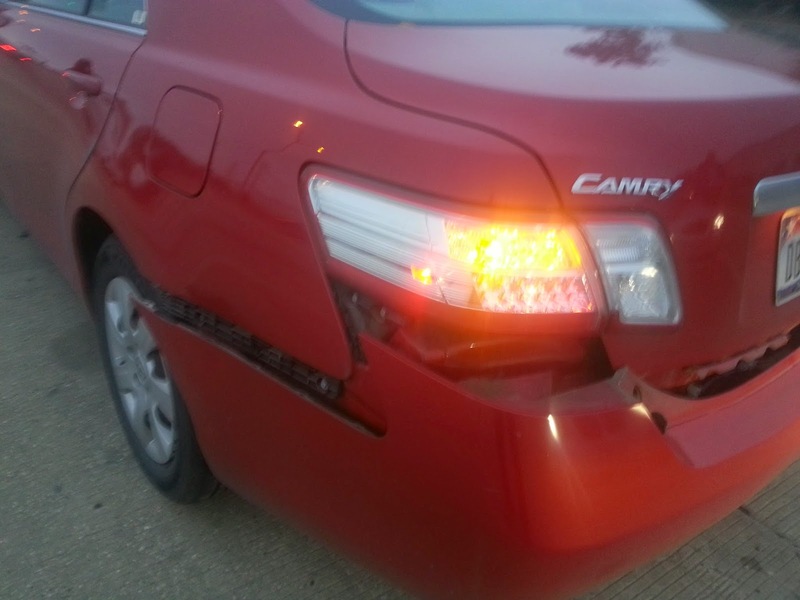 I got rearended on the freeway on my way home from work. Fun stuff. 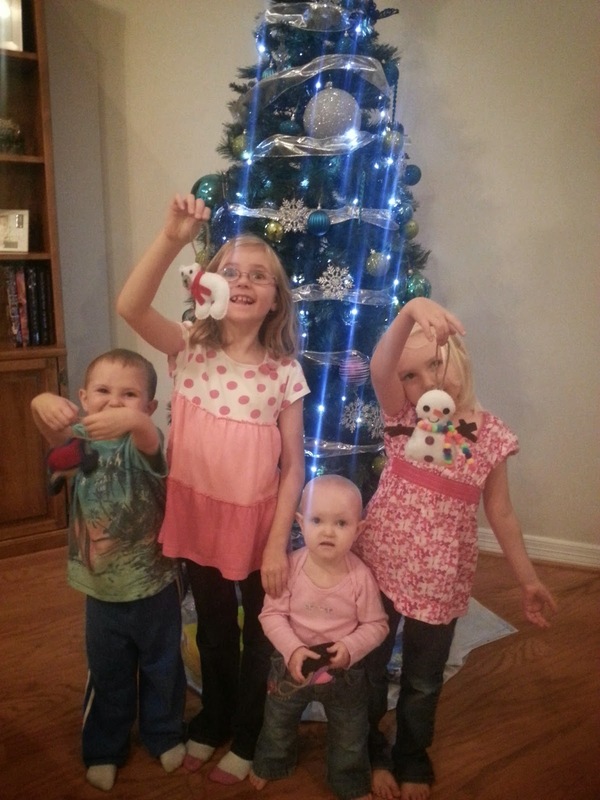 Aunt Alice sent everyone ornaments for the tree. Yay Christmas! 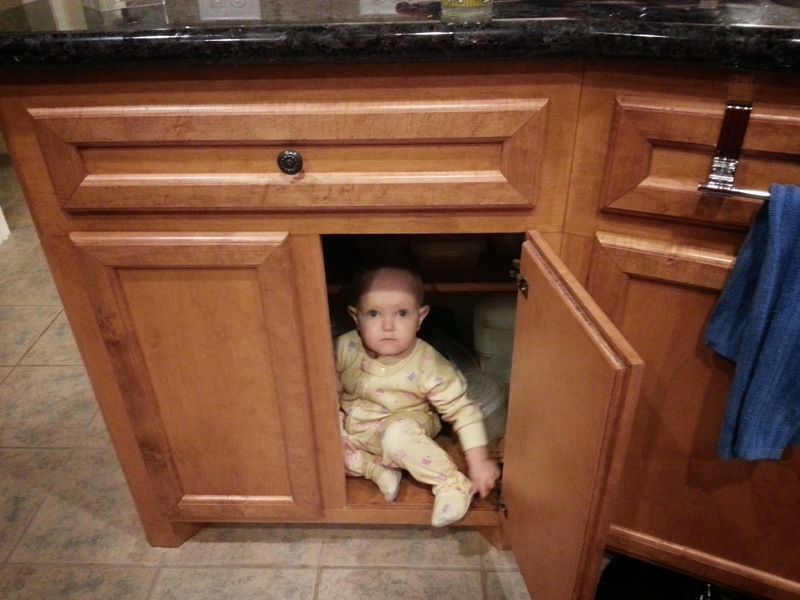 Dianna loves to hide in the cabinets. She will open and close the door for as long as you will pay attention. Peek-a-boo! 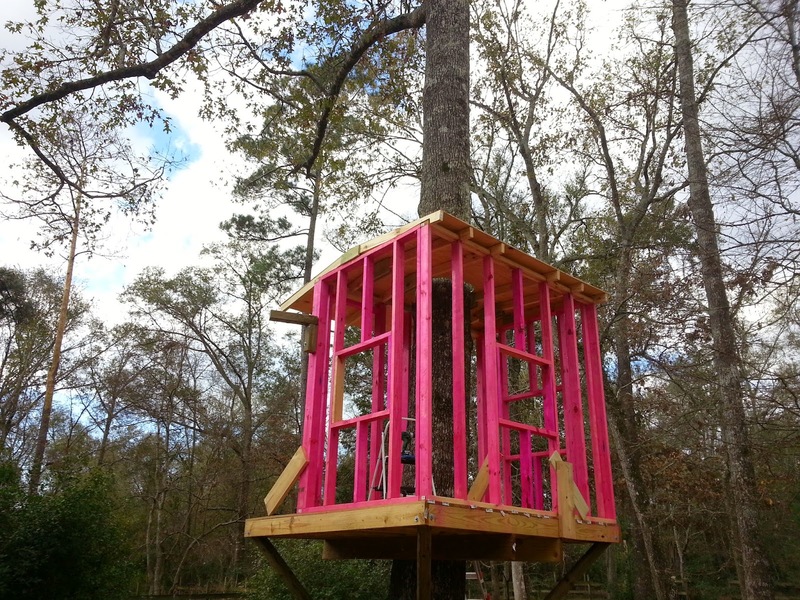 Here is the framing for the walls and roof on the treehouse. 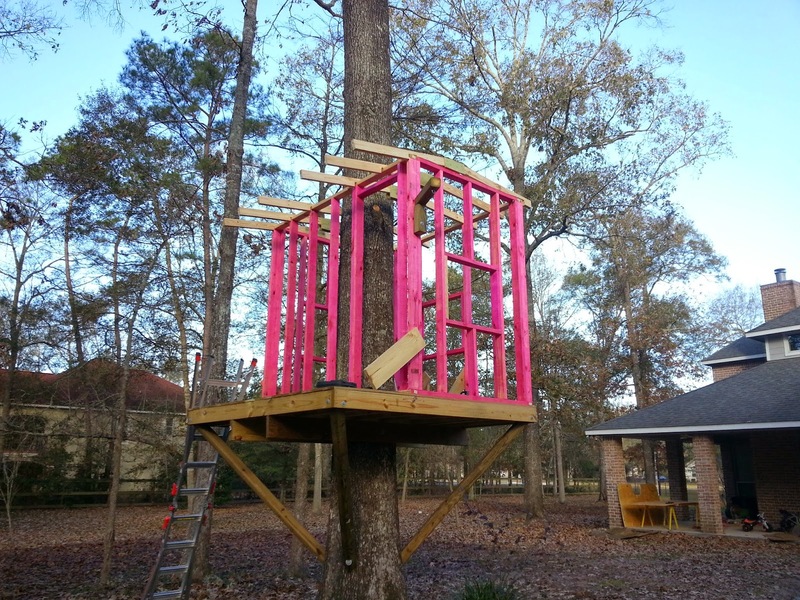 The pink lumber was definitely motivating for me to get the outside walls up, that thing was an eyesore for a while. Here is with the roof plywood on. 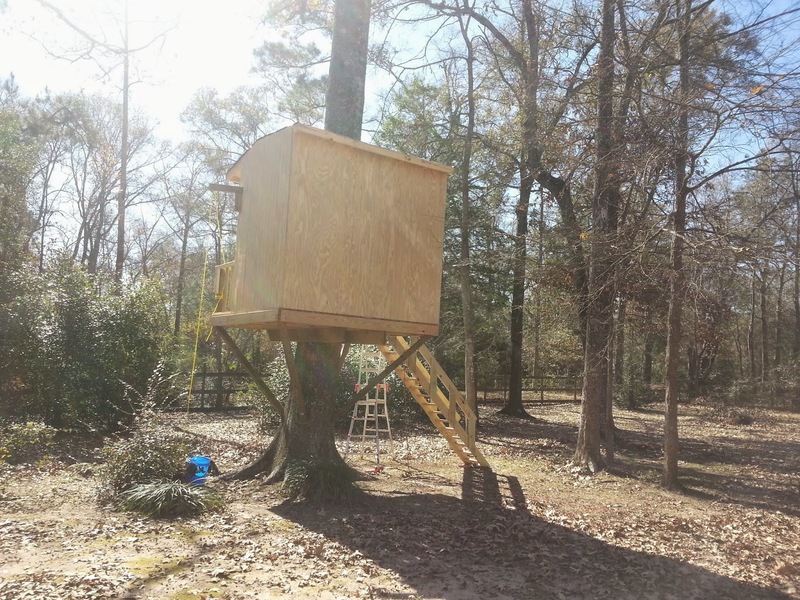 The platform is only 8x8, and the treehouse itself is about 8x6, but it works pretty well. We had dinner and family home evening in there a couple of weeks ago and we all fit just fine. At Christmas we went over to Grandma and Grandpa D's house and acted out the Nativity. 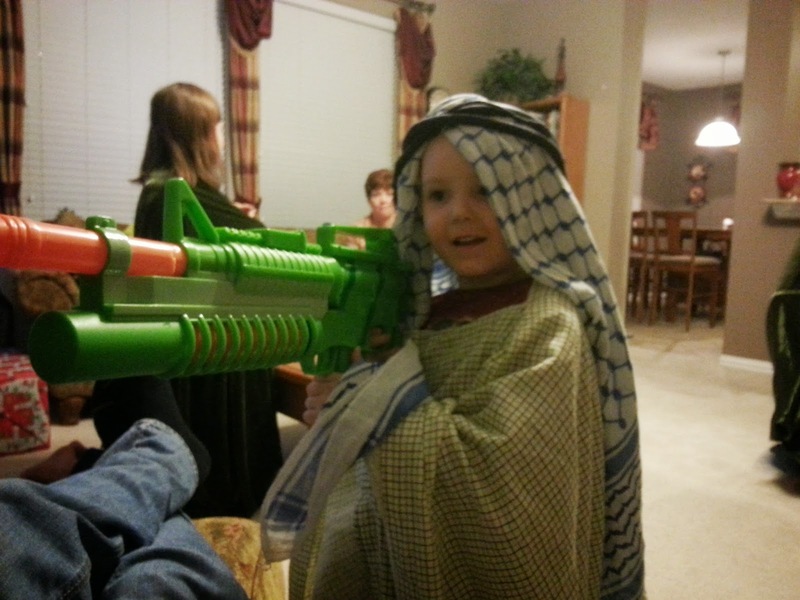 Caden was supposed to be a shepherd and somehow joined the taliban in the process. We made gingerbread houses, of course Caden and I had to make ours a treehouse. 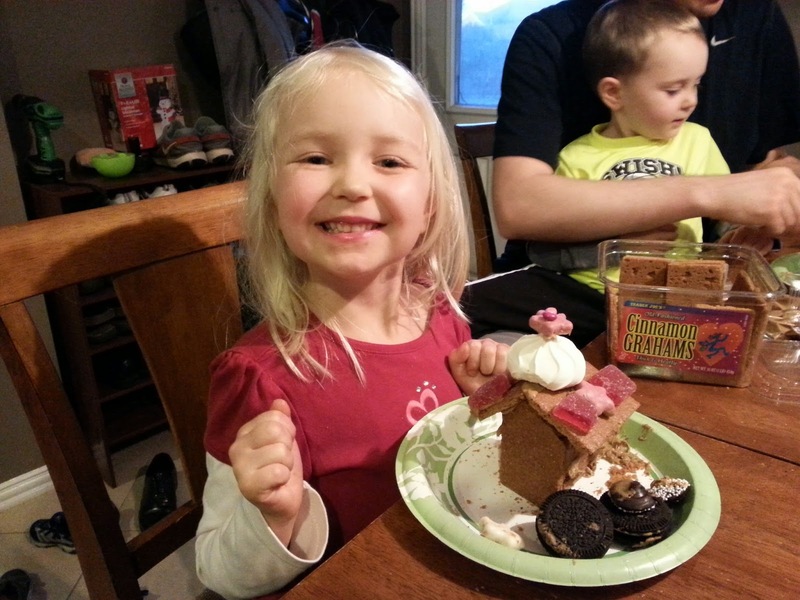 Brianna and her gingerbread house. 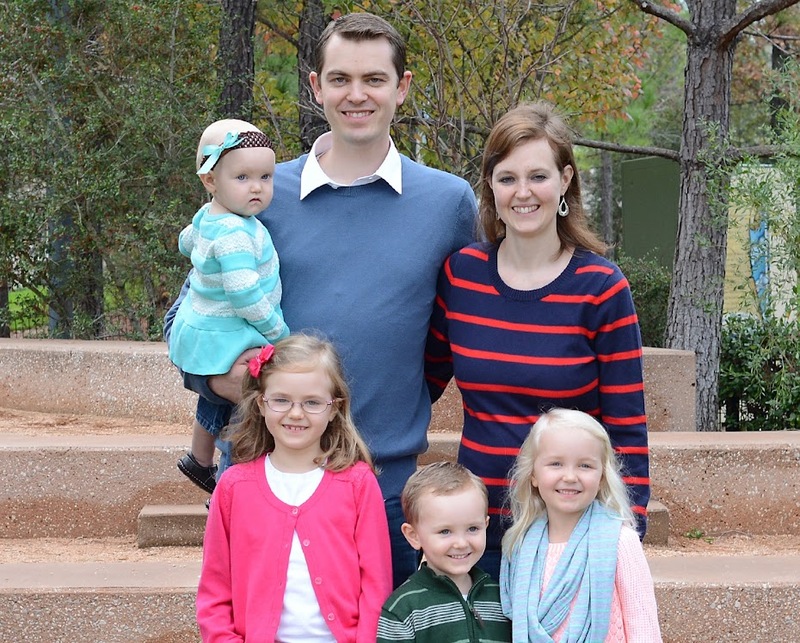 We took family photos while everyone was here at Christmas. 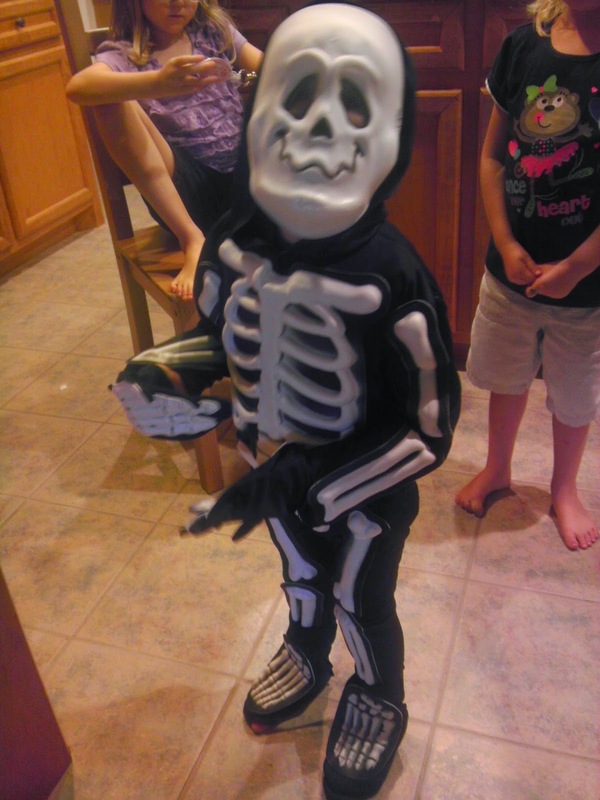 I still don't have copies, but I did get some pictures of the kids dressed up. Caden is our little lady charmer. Alyssa is still trying to figure out her "photo" face. This one was fun, but not what she was going for. Brianna is working on a smile that won't tire out her cheeks after doing it for hours. This is the half-smile. Here I have put up the bucket and "pulley" (it is really just an eye-bolt with a rope run through it, I didn't want to deal with the rope being constantly stuck or off of the pulley). I have also installed three of the 4 walls and the balcony. I won't cut out the windows until spring/summer time when the extra ventilation will be needed. For new we are trying to keep the wind from whipping through there too much. Here it is with the 4th wall up and the plastic on the roof. Now just a ladder and roof felt/shingles to go. For Alyssa's baptism my niece Aayla came to visit along with my Sister Sally and my mom. It was great to have them. Aayla is quite a cutie. 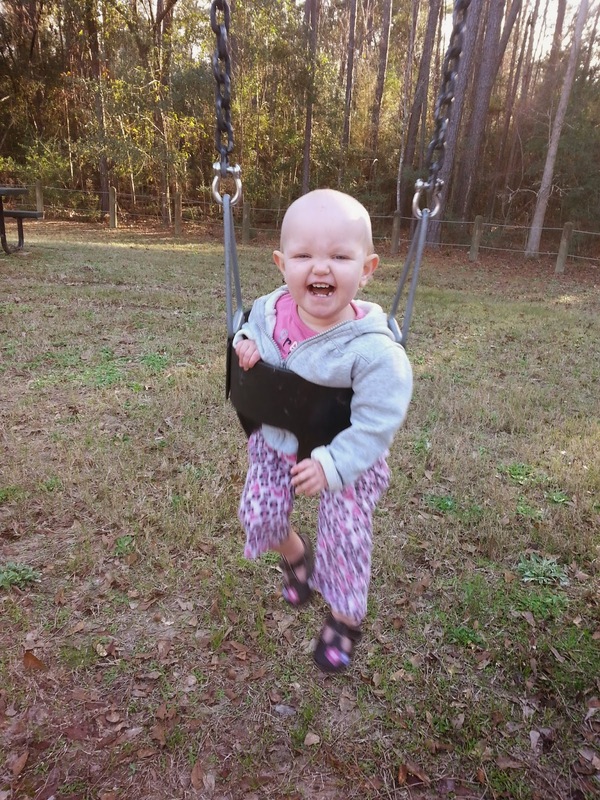 I'm not sure what Dianna thought was so funny, but she was really happy to be in that swing. 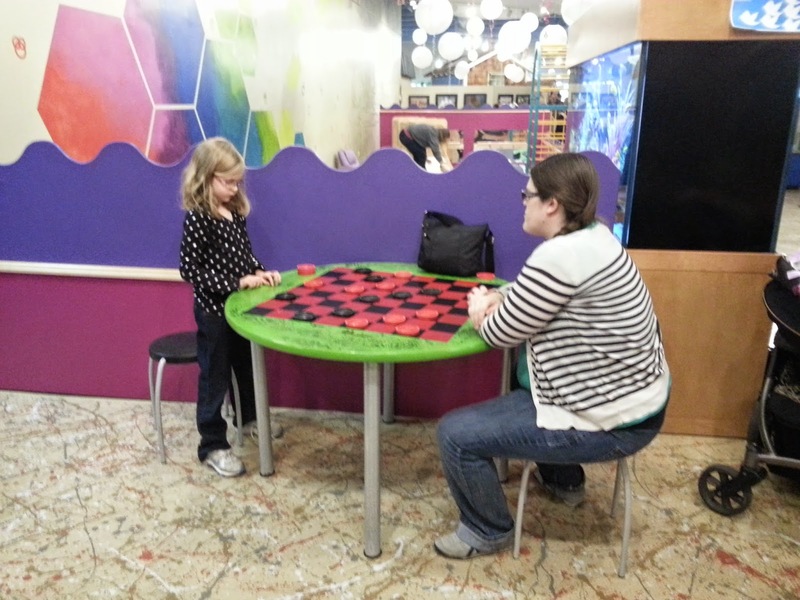 My sister Sally and Alyssa playing checkers at the Woodlands children's museum. What can I say about this one? 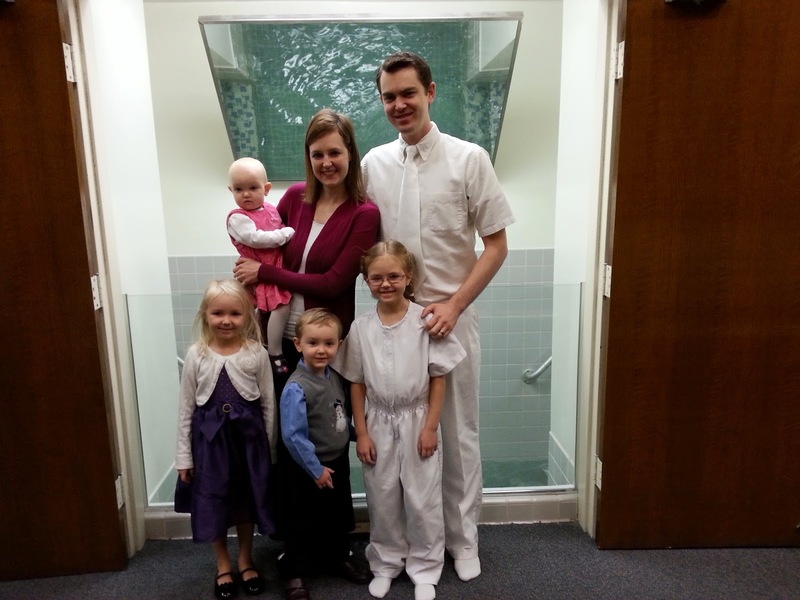 Here we are at Alyssa's baptism! 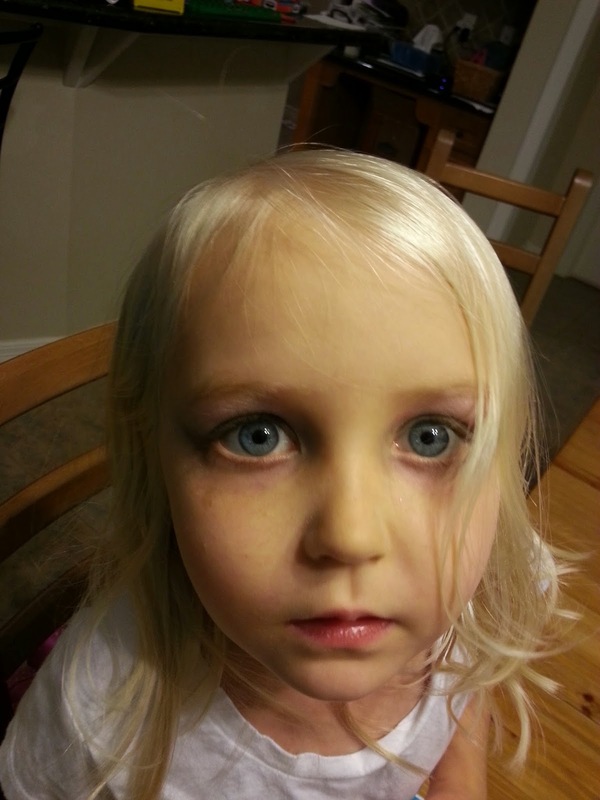 Brianna got into Katie's makup and decided to go for the Goth look. I had a hard time getting it to show up well in the photo, but she looked like she was dead walking around. 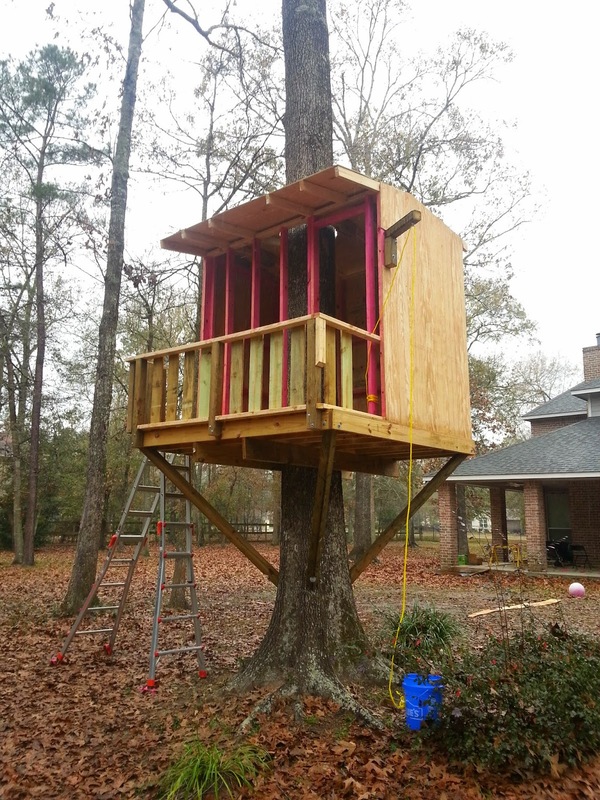 Here is the completed treehouse (minus the window cutouts that will come in the spring/summer and some paint). 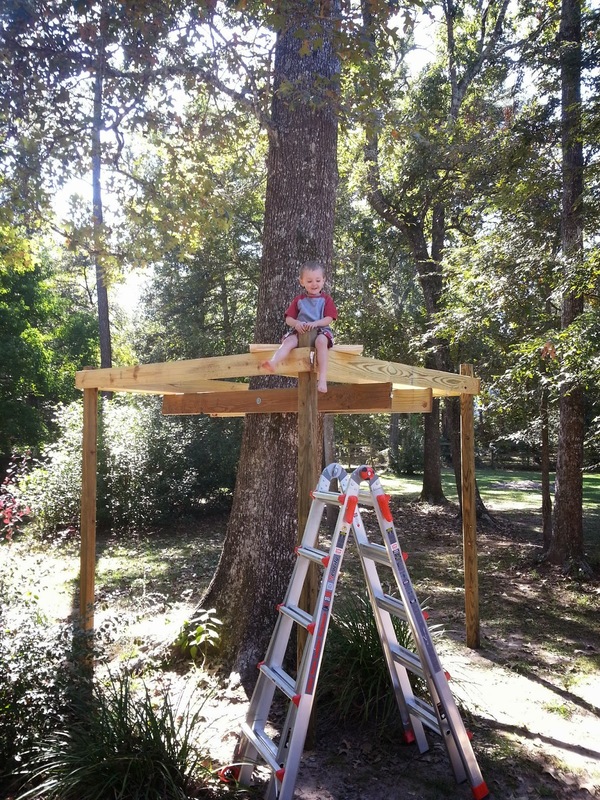 The ladder was the final touch and so now the thing is very secure and sturdy. 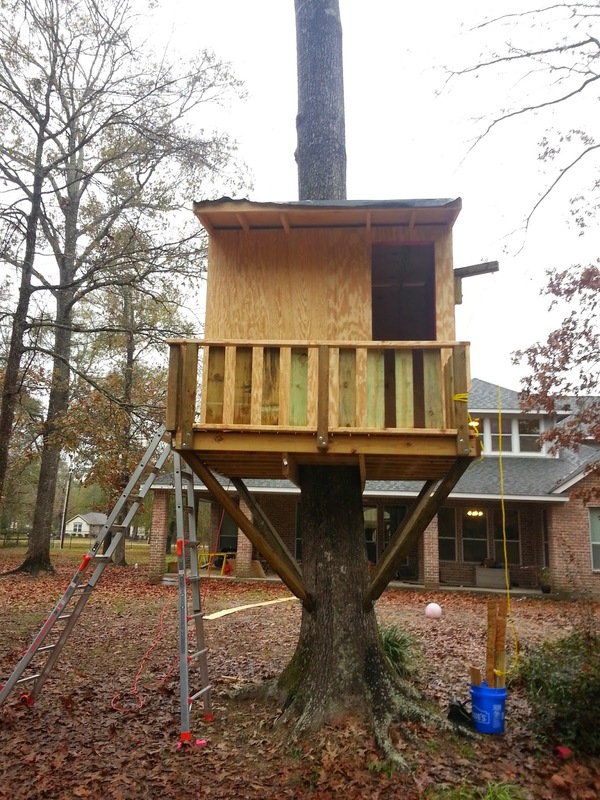 A lot of work, but the kids love it and so does every other kid that comes to visit. Hopefully it will be something that we get a lot of use out of. Dianna is upset that the thing isn't moving. Boring! 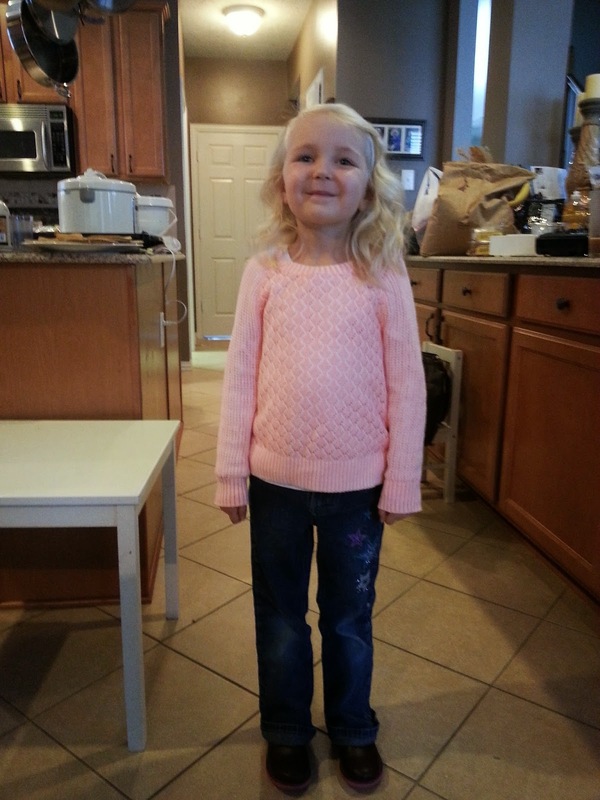 We had a special date with Alyssa, just Mom, Dad and Alyssa. 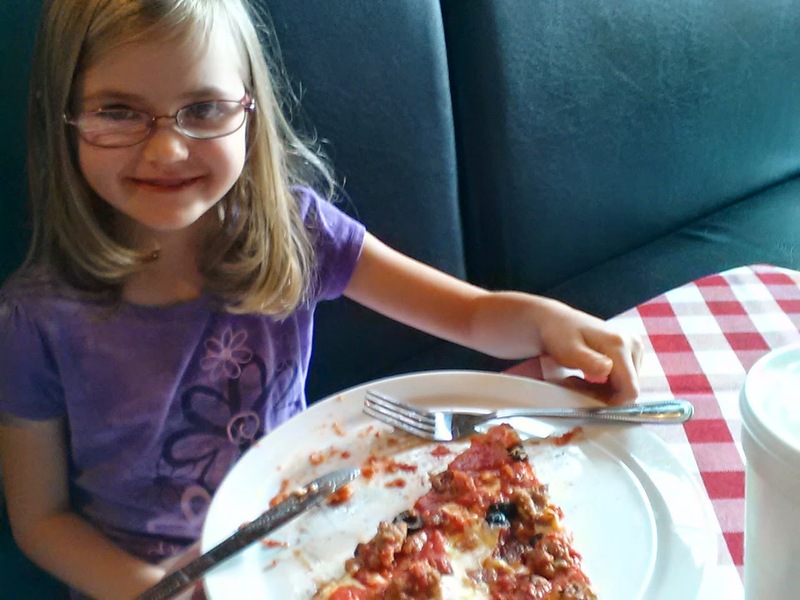 She wanted pizza, so we went to Grimaldi's, which is coal fired New York style pizza. Delicious! 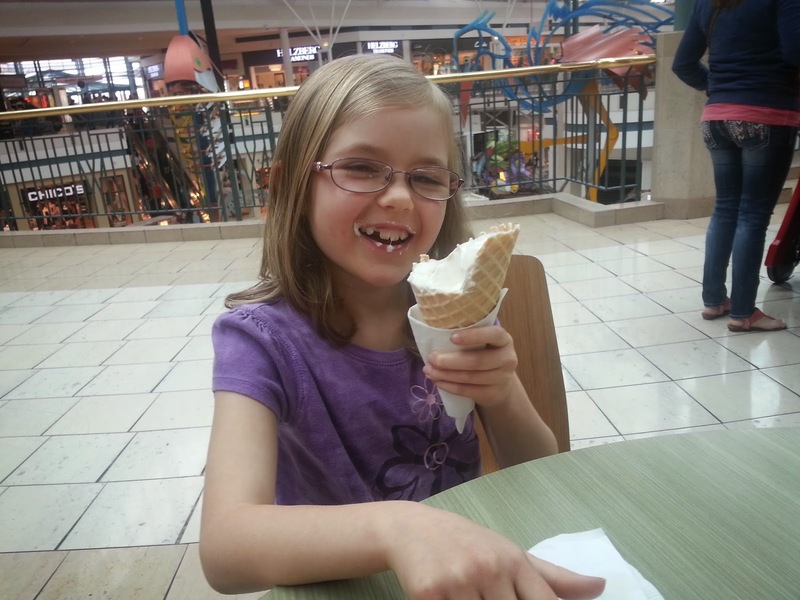 We went to the Lego store afterwards and then Ice Cream at the mall. Amazing that all of this was sanctioned by Katie. Alyssa was relishing the moment. Well, got to get to bed, hope the New Year finds you well. Until next time. Well I must say I am surprised that I am posting again. Though to be honest the prompt for this post was a discussion I had with my mom tonight about Dianna and how Grandma needs a photo for her "Grandma" wall. I'm not sure that any of these will be wall-worthy, but at least I can't be accused of not giving my own mother photos of my adorable little 1-year-old. Same disclaimers as my September 2014 post apply. After Friday night I have to say I am so disappointed that I would rather be accused of being a mommy-blogger than relive that football nightmare so go ahead, bring on the heckling. As for our family, we are doing well. Katie and I started hanging pictures and decorations this weekend, so the house is starting to look a little more put together, that is except for our bedroom. Our bedroom is a lawsuit waiting to happen which is why nobody outside the family is allowed. There is also the utter shame it would cause Katie and I to have anyone that doesn't live with us see that pig sty. There are tripping hazards all over the place. Sometimes I think the kids go in there and purposely put things in my path so that at 5:30 in the pitch black I will trip over a baby bath at the head of my bed. Ok enough of that, on to the photos. 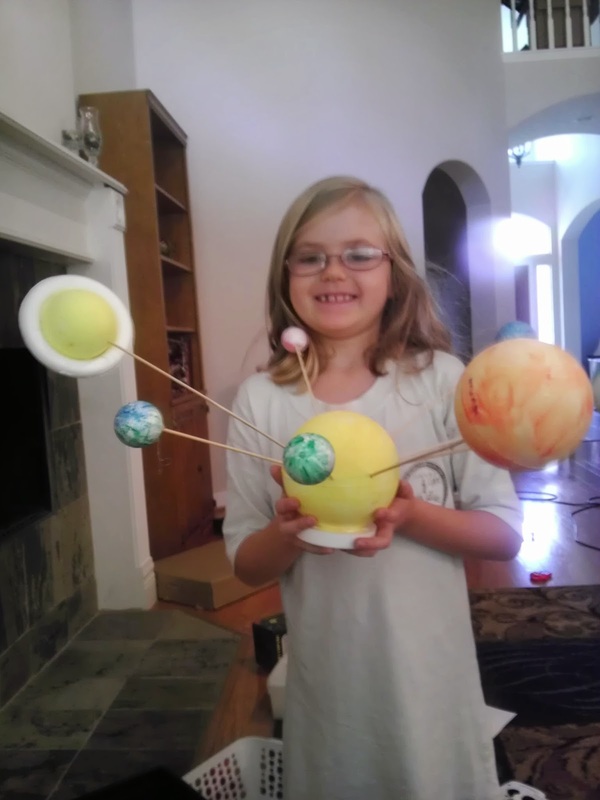 For homeschool Katie and the kids are studying astronomy. We got to put together a model of our solar system, which Alyssa is modeling, along with a lovely nightgown, work it Alyssa! Brianna's best Galileo impersonation. 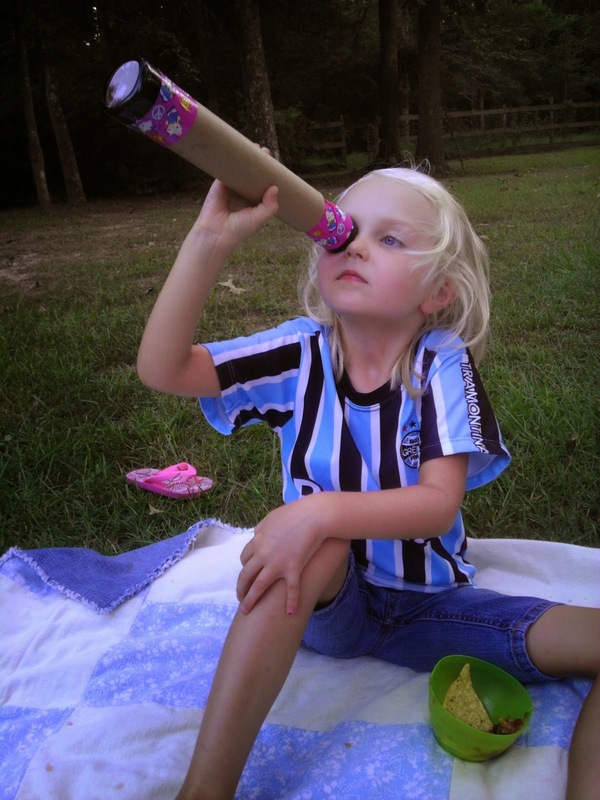 I'm pretty sure his first telescope was a cardboard tube with Hello Kitty duct tape on the ends. We were going for historical accuracy here. I have been wanting to re-stain our floors, but I have no experience whatsoever with staining. Katie has convinced me to start small and see what I think. 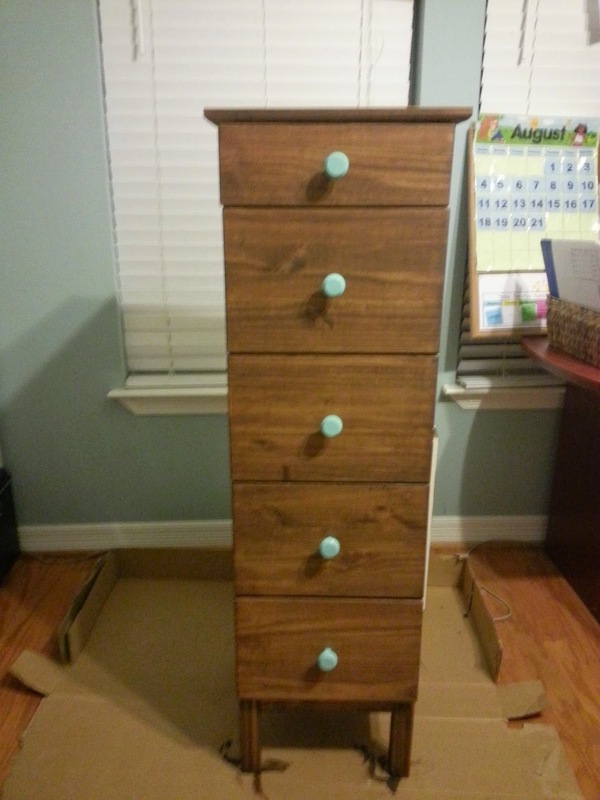 One of the recent projects was to take this plain chest of drawers from Ikea and stain it. The big ugly wood knobs aren't my favorite, but since it is in the closet I didn't think it was worth buying new ones. Here is the after on the staining. I used General Finishes gel stain. There a bazillion blog posts out there about this stain, most of which use their Java color which is really dark. I went with the Antique Walnut and liked how it came out. Katie still isn't convinced that I can/should re-stain our floors, which is probably a good thing. 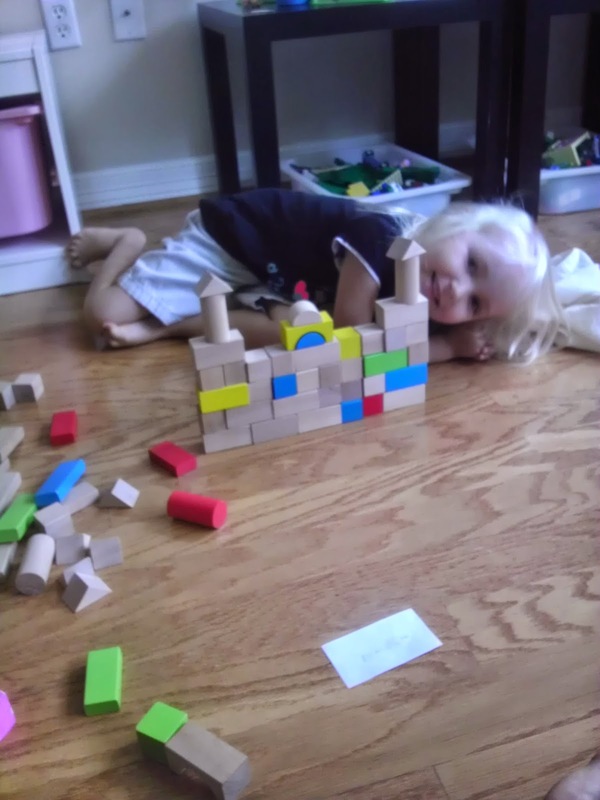 Brianna was really proud of her Castle that she made. I pulled into the garage one day and found this guy waiting for me. There was this skeleton there pounding on my window to get in. I screamed bloody murder and refused to get out of my car for a couple of minutes before Caden took the mask off and I saw that it was him. He thought it was the funniest thing in the world that he had scared me so bad. You can't see it very well but Brianna has two black eyes in this photo. It looks like shadows, but they are actually black in the corners. This is a warning to all of you, don't touch my potato chips! I warned her and she wouldn't listen. 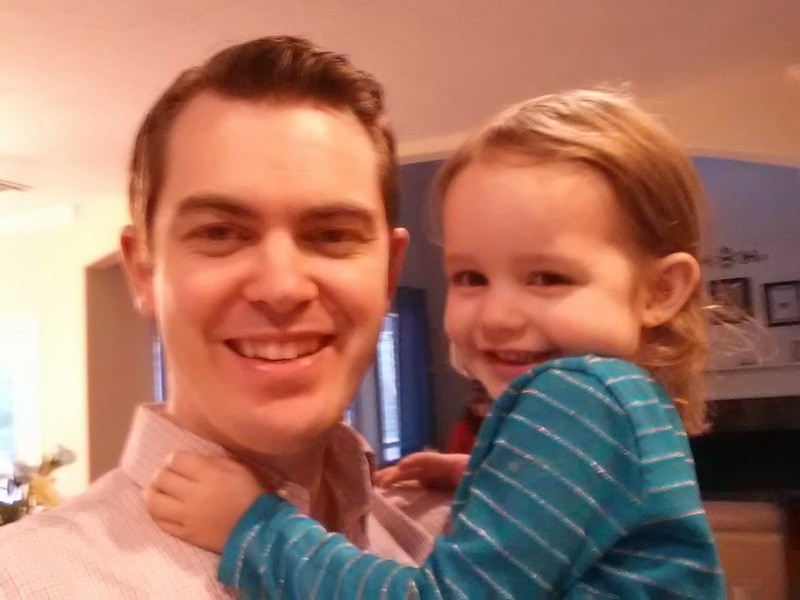 I probably shouldn't put this on here because then someone will call CPS, again. 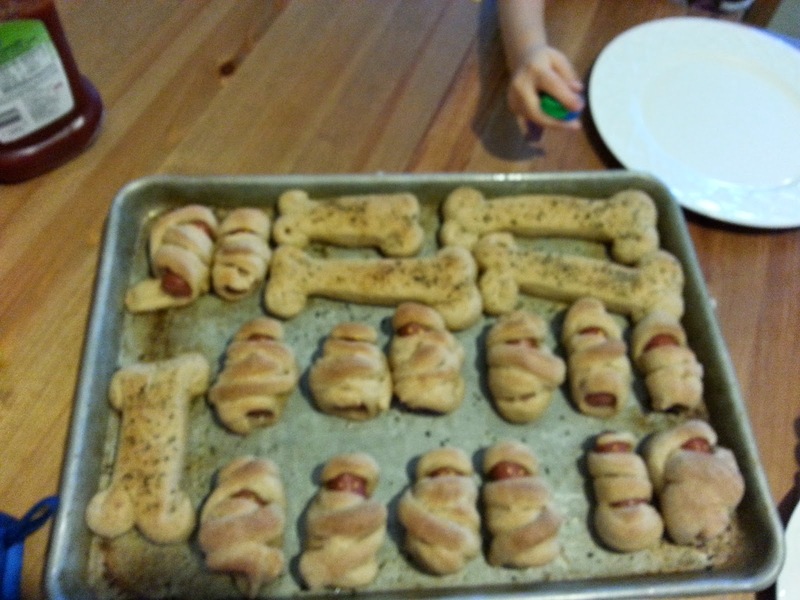 I'm just kidding guys, I don't hit my kids and then post photos of the results to the internet. I'm not that stupid. Those kids would find a way to get the last laugh anyway. Actually we were cleaning the church building and Brianna fell down and smacked her head on the hard kitchen floor. 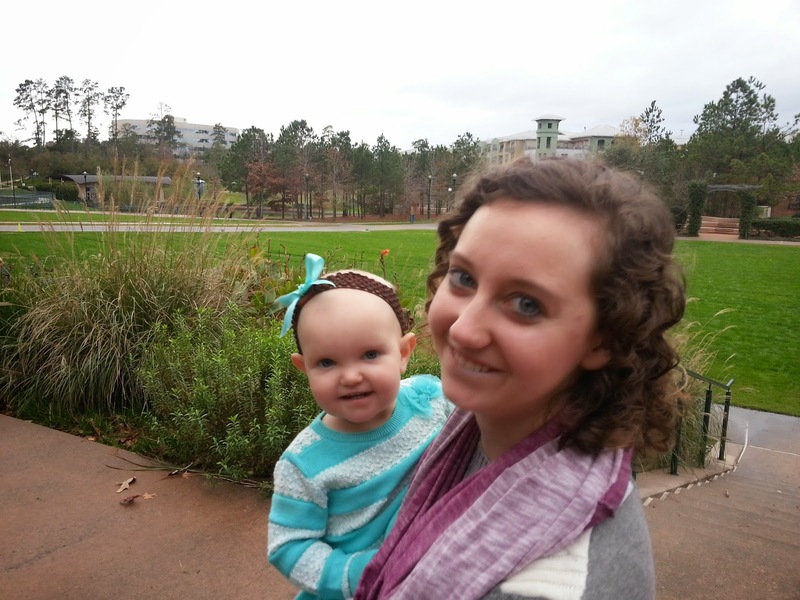 It left a 2-inch diameter bruise in the center of her forehead. Luckily for Brianna the Bishop was also there cleaning, so she got some candy out of the deal. 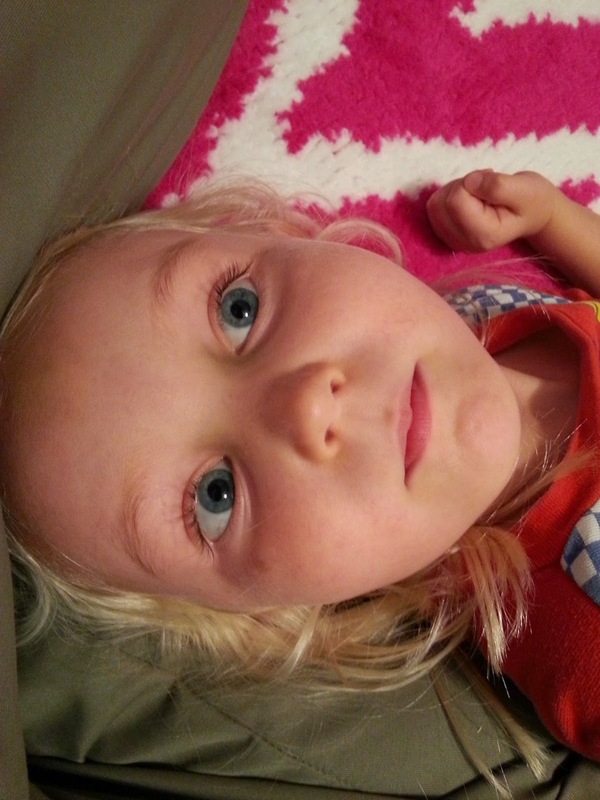 He even told her to come back and see him the following day (Sunday) and if she still had a mark on her forehead he would give her another candy. At night Katie wanted to put something on the bruise to ease the pain and Brianna was insistent that Katie not put anything on there that would make the bruise fade. She wanted her candy, and she got it. Eventually it drained into her eyes and hence the black eyes. 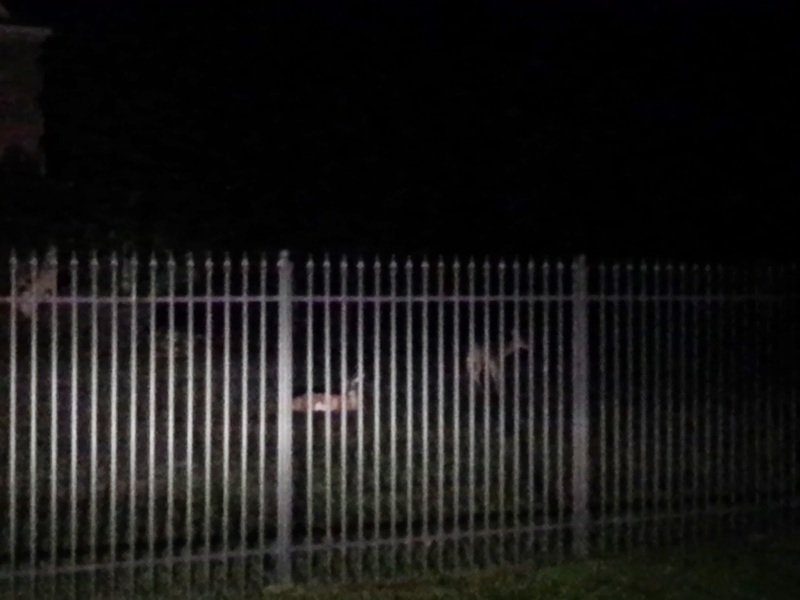 We came home the other night and as we were pausing to open the gate we noticed two deer just chilln' in our front yard. By the time we got in they were around the back and out of camera shot, but we all got a kick out of it. Yet another reason why we love living here. This guy is an orb-spider of some kind and I about caught all of this in the face the other night. Total length of the spider from the tip of the back legs to the tip of the front legs as shown here was probably 1.5 to 2 inches, so needless to say Katie was pretty grossed out. I'm not a spider fan either, but I took a few photos and a really close-up video a couple of nights later watching it rebuild it's web. 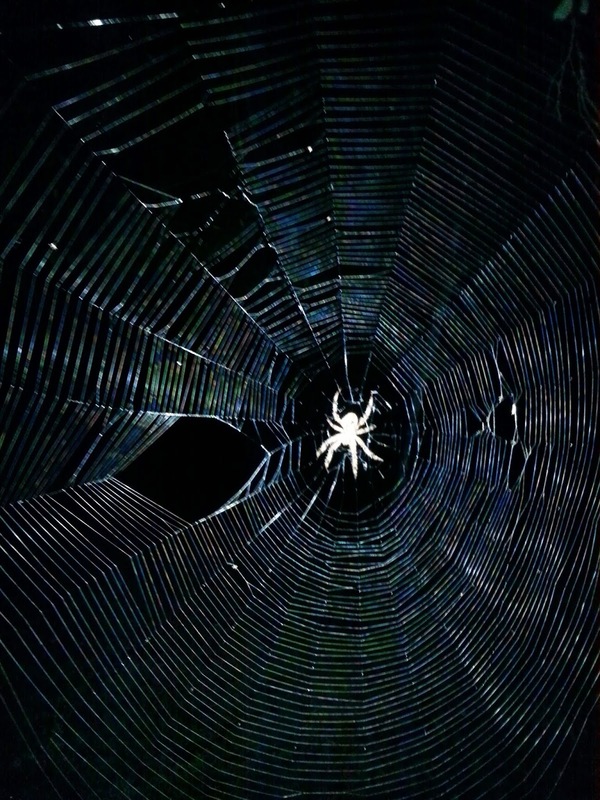 Pretty cool stuff, even if it is nasty to catch a spiderweb in the face once and a while. Caden is potty training and pretty much potty trained. 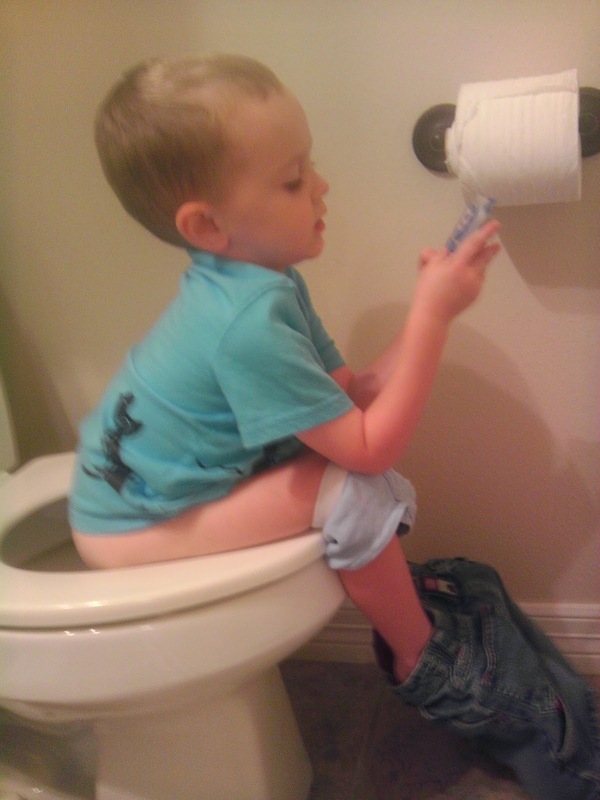 As you can see, he likes to "use his phone" while sitting on the toilet. 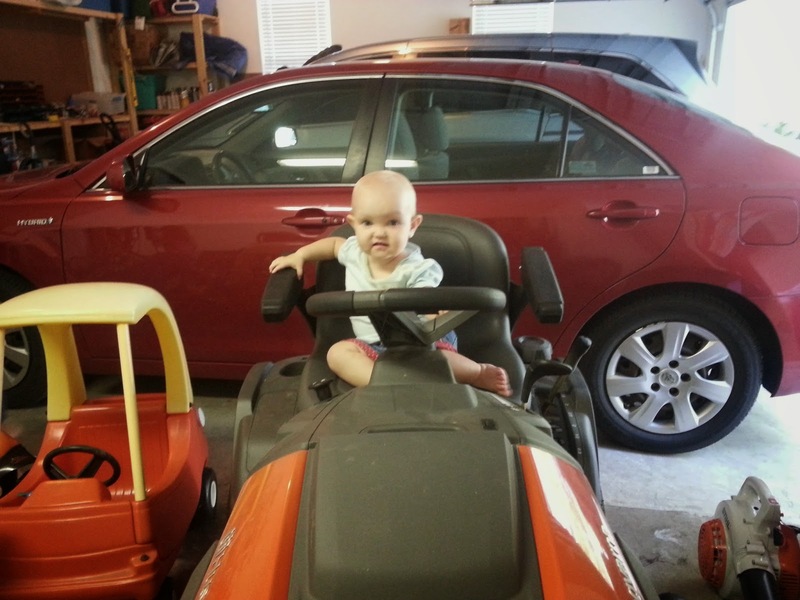 More than any of our other kids, Caden wants to be just like mom and dad, and apparently this is no different. Yeah, I just implied that. Gross, huh? You probably don't want to borrow either of our phones, and I will keep my hands off of yours just in case. 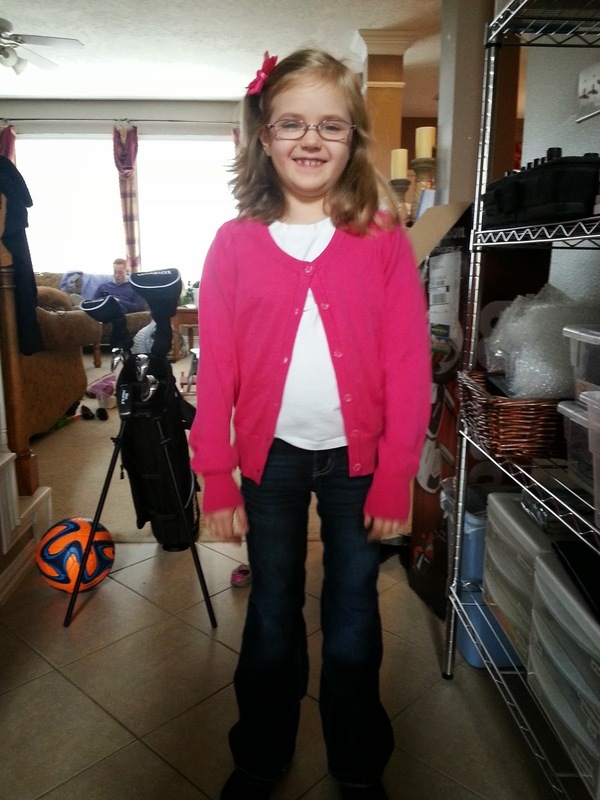 Brianna turned the big 5 in September. On her actual birthday she got pizza and cinnamon sticks. 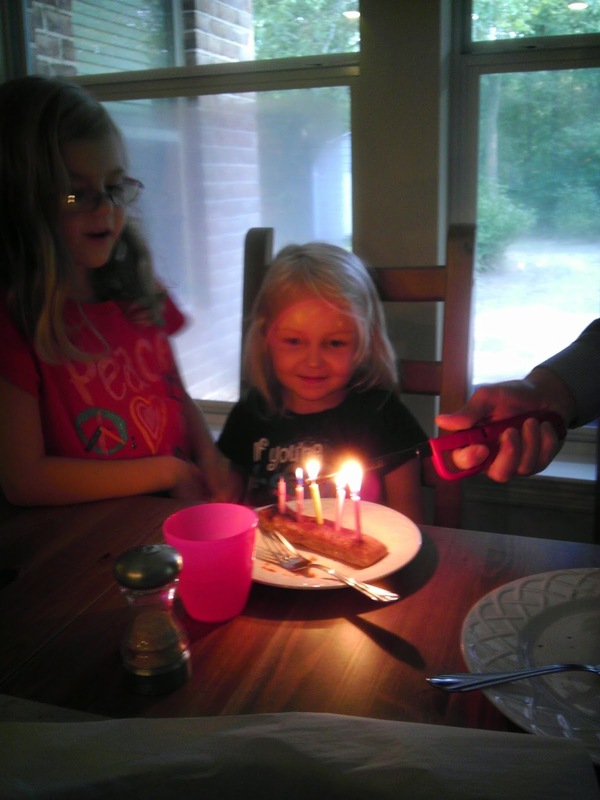 Since there wasn't cake she blew out the candles on a cinnamon stick. I would feel like she was deprived without cake and ice-cream, but this was only the first of 3 birthday celebrations so I don't feel too bad for her. For the second of the birthday celebrations Brianna wanted to have a party with her friends from our old ward at a blow-up bouncing play place. 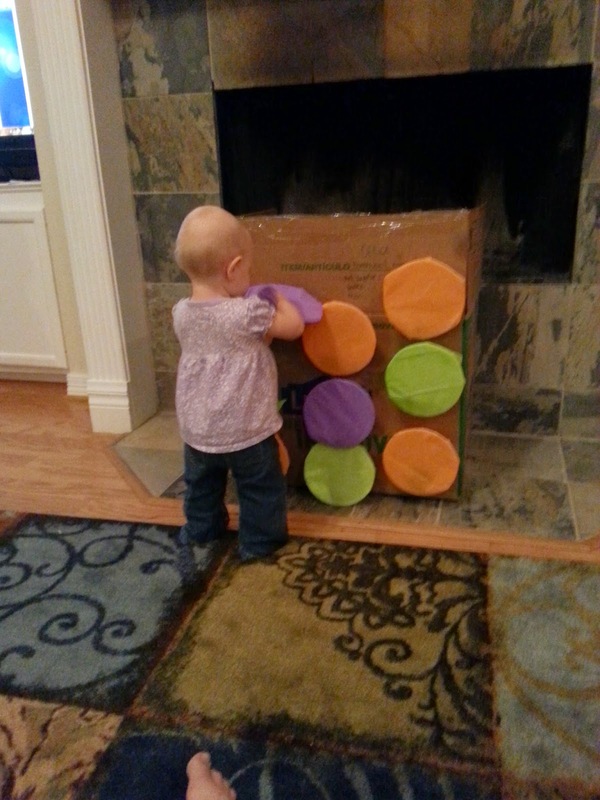 Our family policy is they get a "friend" party every 5 years, so this was the first one for her. Fortunately she wanted to do it outside our house, and with only 2 friends, so we got off easy. 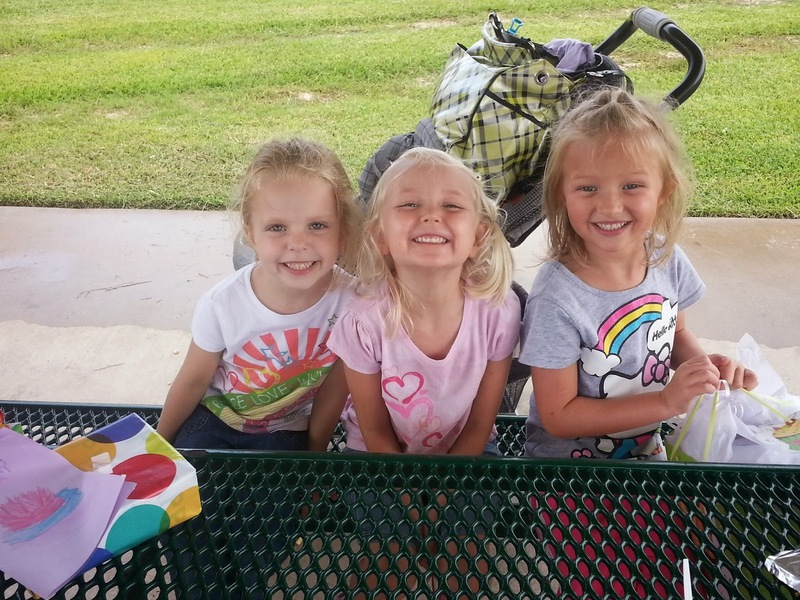 We all had a lot of fun and Brianna had a great time with her friends. The girls again right before presents. 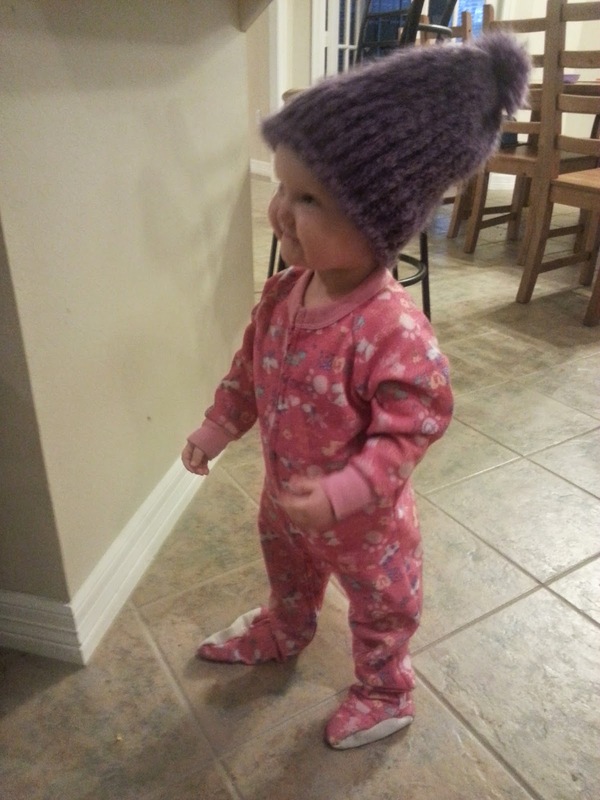 Here is one of those photos for Grandma. 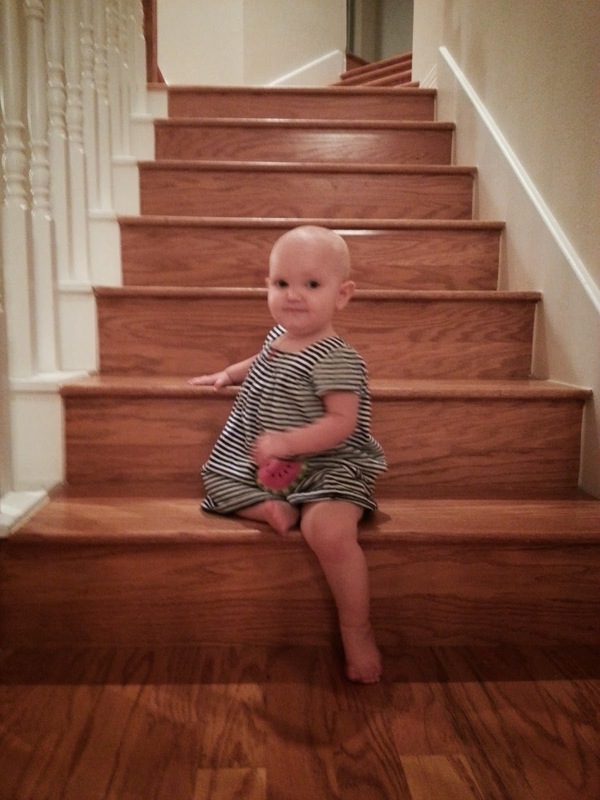 Dianna loves going up and down the stairs, standing on the stairs and poking her face between the bars, and generally climbing on things where she could fall and die. Fortunately she is pretty good at not dying, at least so far. 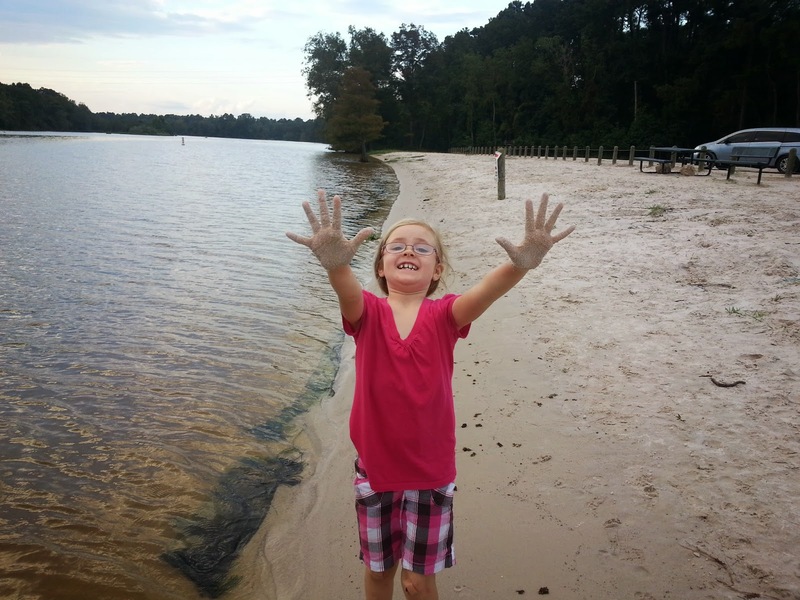 Our new neighborhood is on the crystal clear, beautiful blue waters of Lake Houston. The water has excellent visibility for snorkeling, at least 1/4 inch. Our house isn't anywhere near the water (about 2 miles) but we do have a private neighborhood beach. 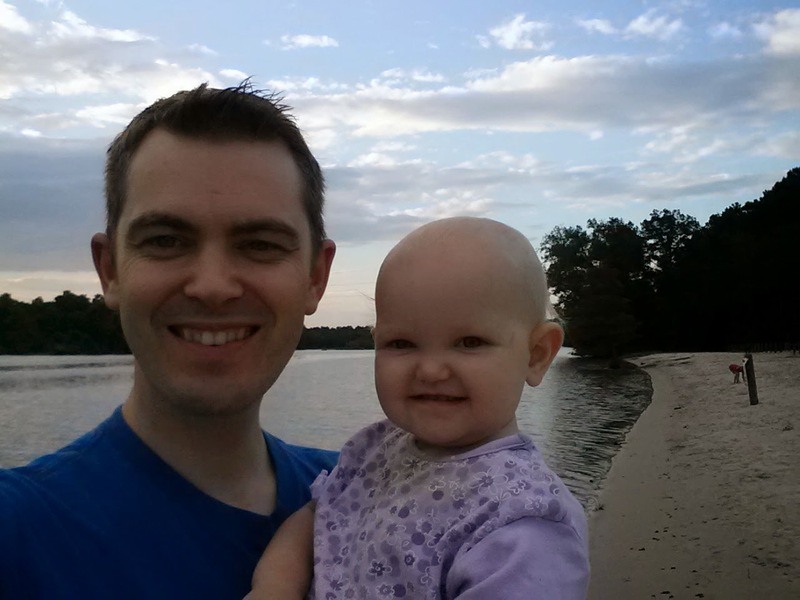 We finally got a key to get in this week and spent Tuesday evening out on the beach. It was pretty secluded feeling and a lot of fun. 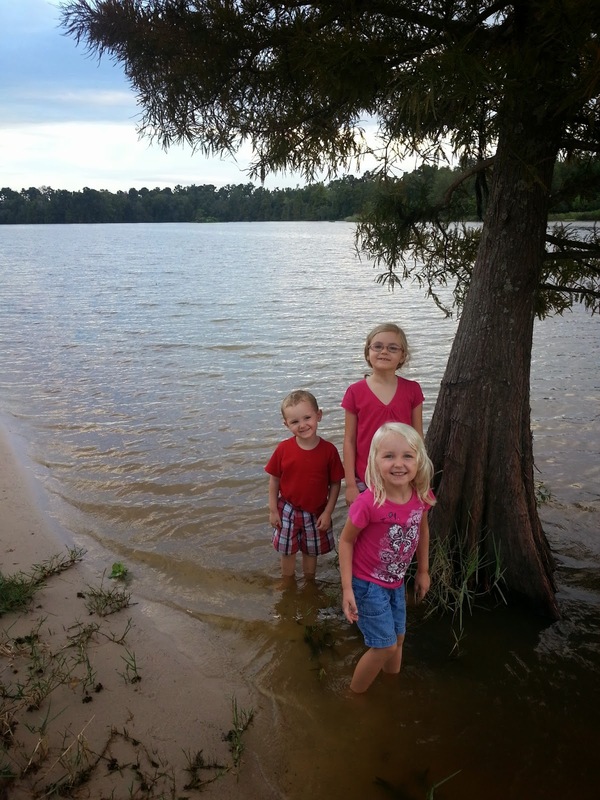 I made the kids pose by this tree in the water and after about 10 shots got one where all of their faces were visible. 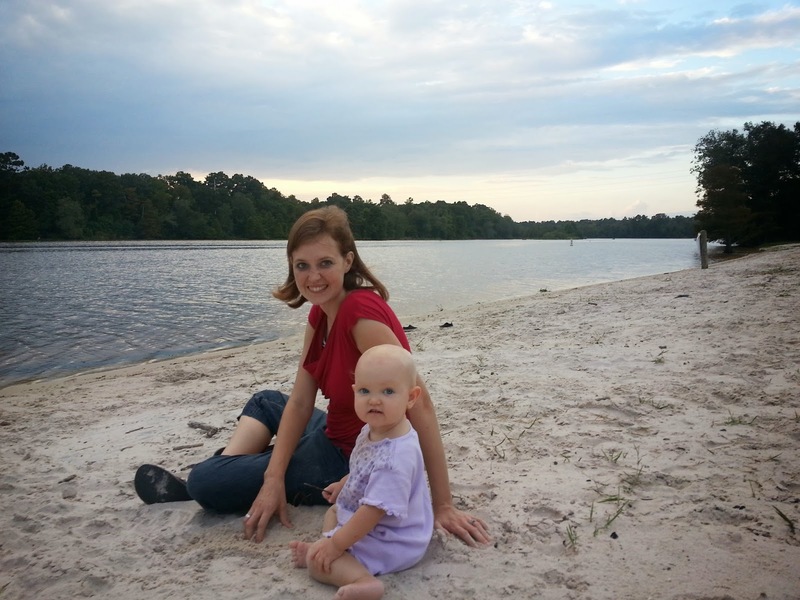 Look at those beautiful babes on the beach! Ow Ow! This one is pretty funny. 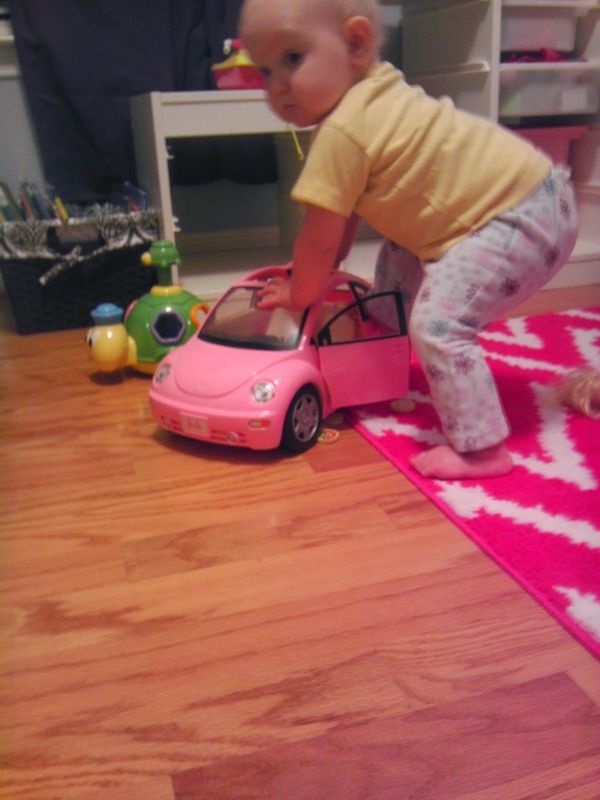 If you look at Dianna's right foot, she is trying to climb into the Barbie car. Pretty hilarious to watch for 15 minutes. 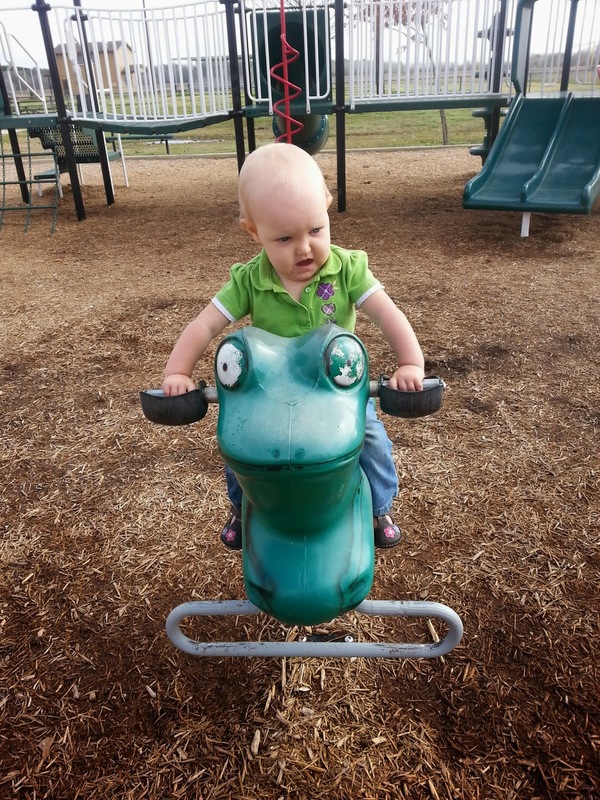 I know, we are bad parents, but if you can't laugh at your kids you might go insane. On top of it Dianna is pretty persistent and intense. 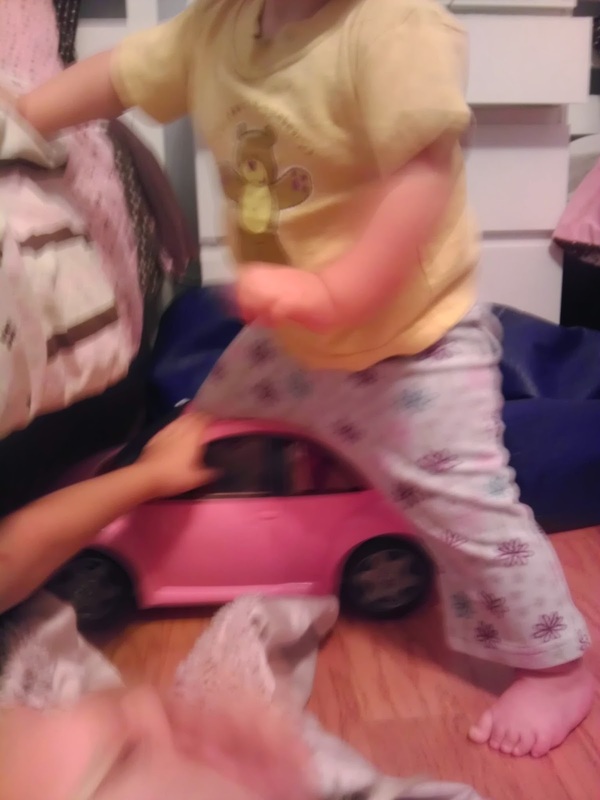 Whenever she gets frustrated she balls her hands into fists and starts to shake and grunt. Ahhh success, finally! Yes, one leg in, now for the rest. 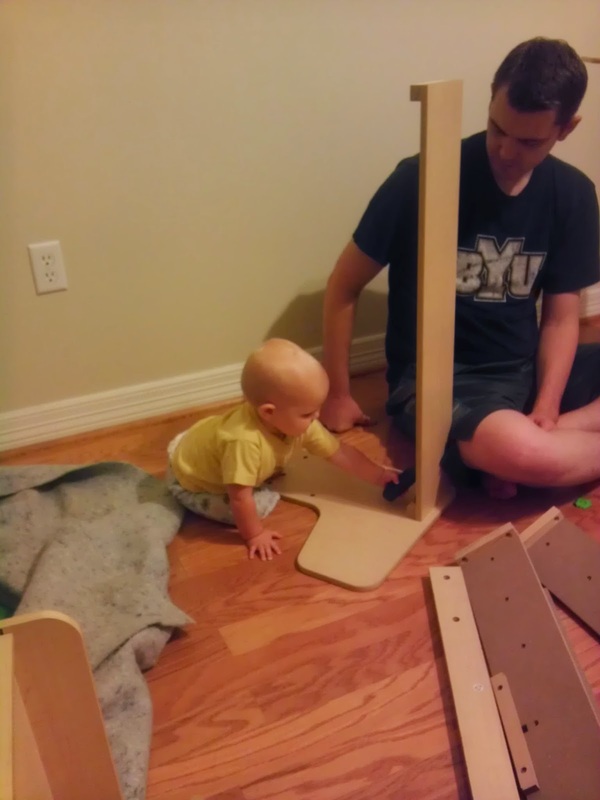 This was the only way I could keep her from yelling at me while I put together this train-table. As soon as I took the tool she would look at me and yell. Not crying but just a "DAAAAD! I WAS USING THAT! GIVE IT BACK!" sort of yell. Well that is it for photos. Until next time. get to know us... love us! African Dolls, Thanks for your Service!! one week mark - almost going home.